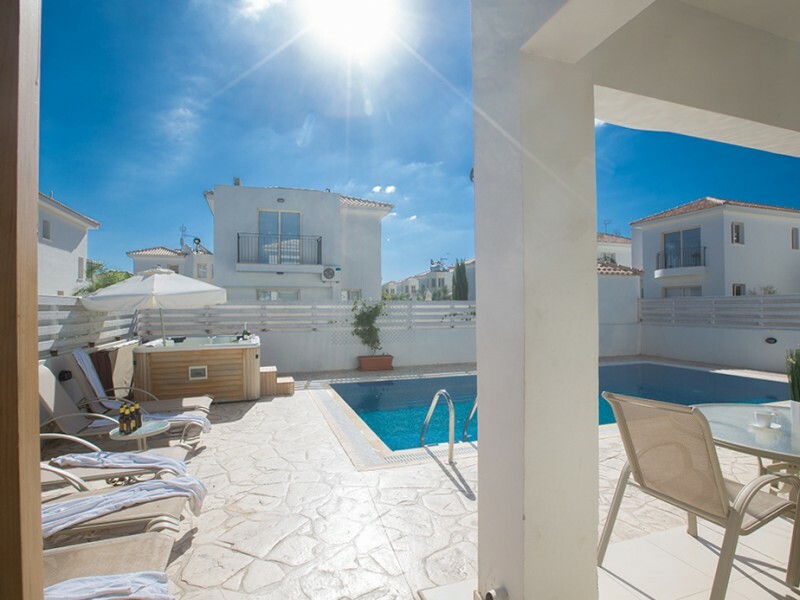 The villa is located in Pernera a short walk from the resort center and the beaches of Pernera and Protaras center is within easy reach. 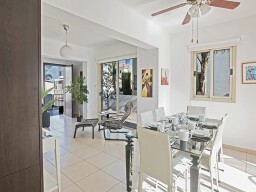 The villa is ideal for families and groups who want to be close to all resort amenities. 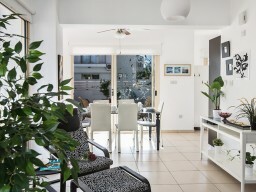 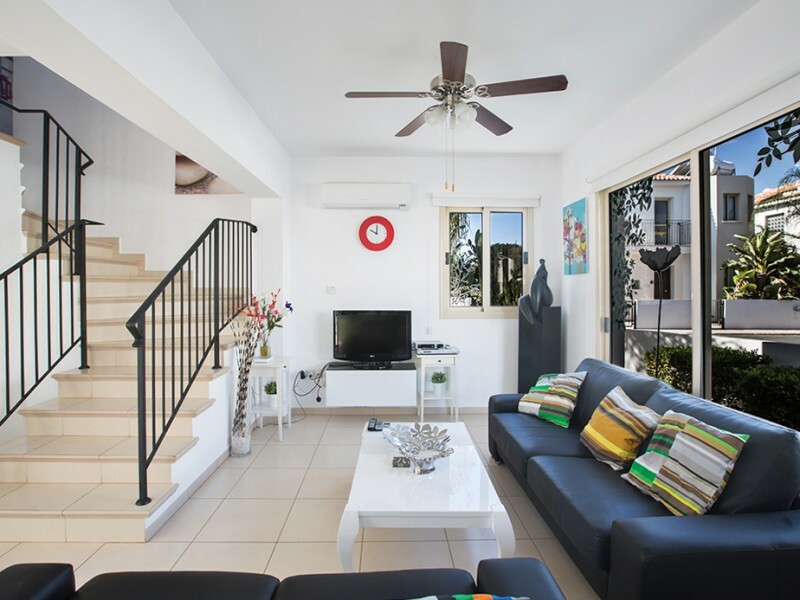 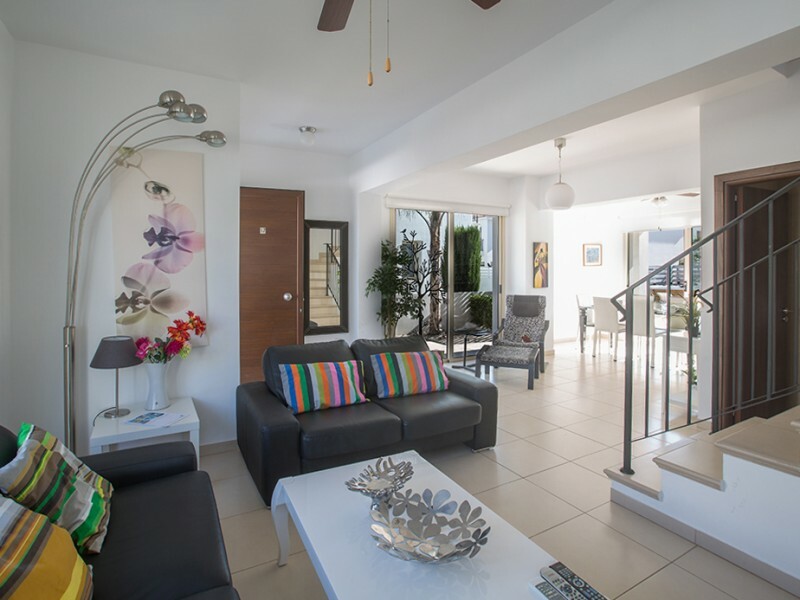 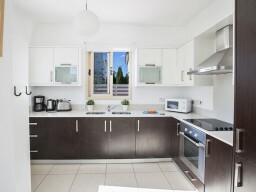 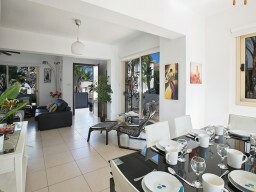 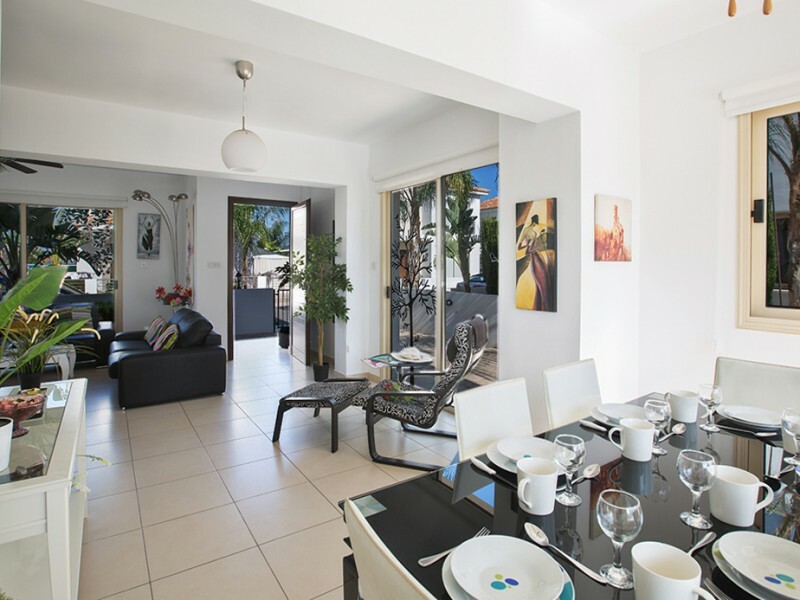 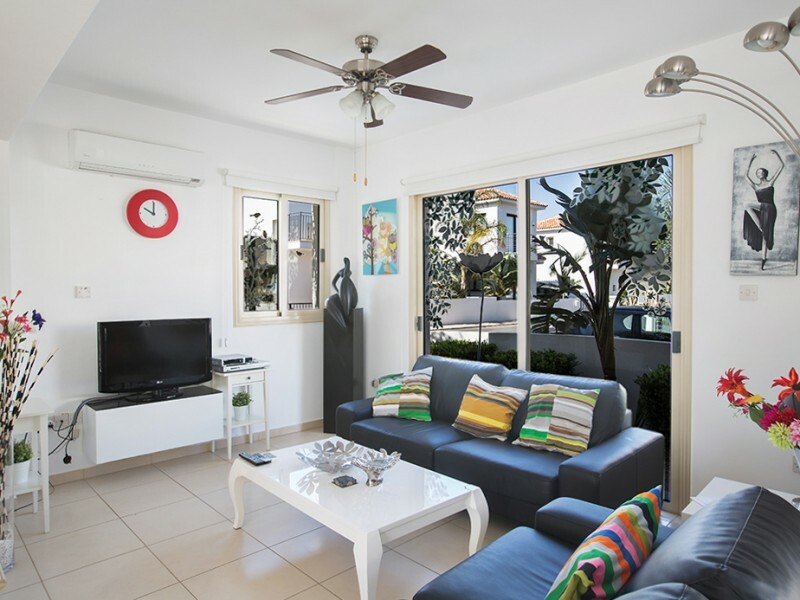 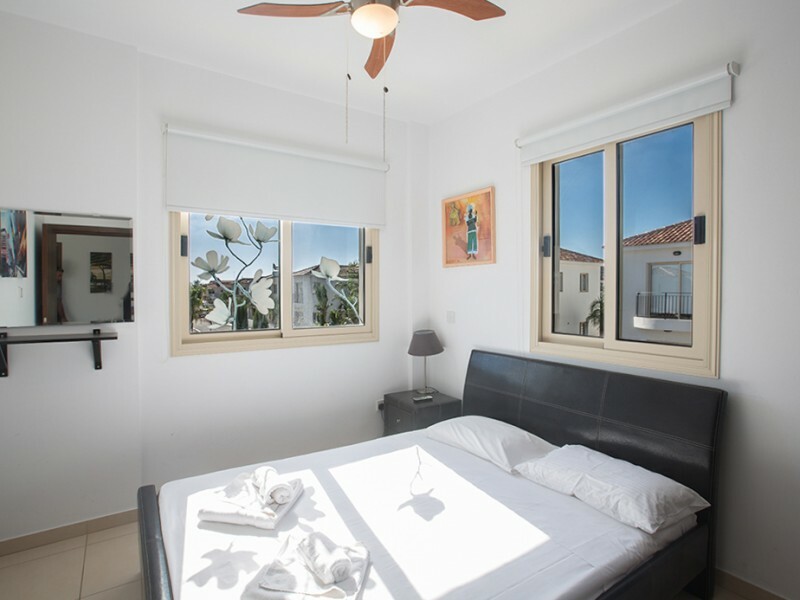 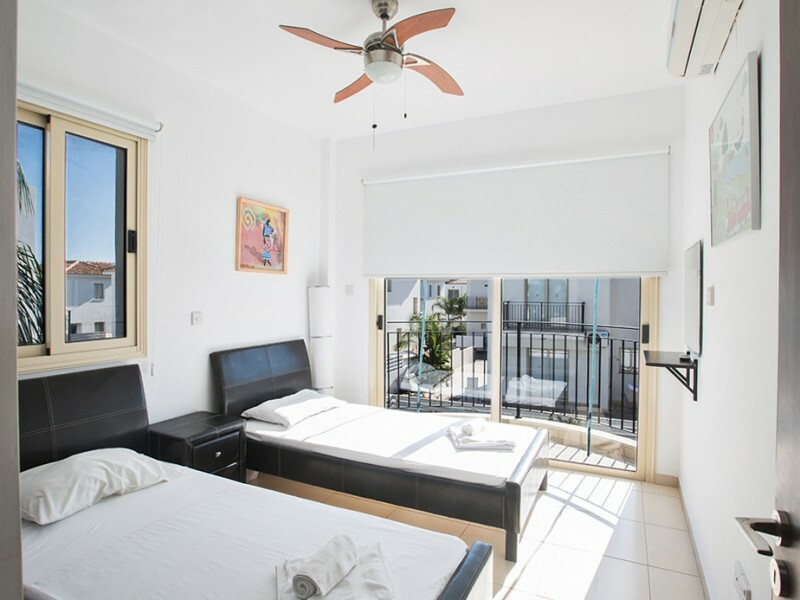 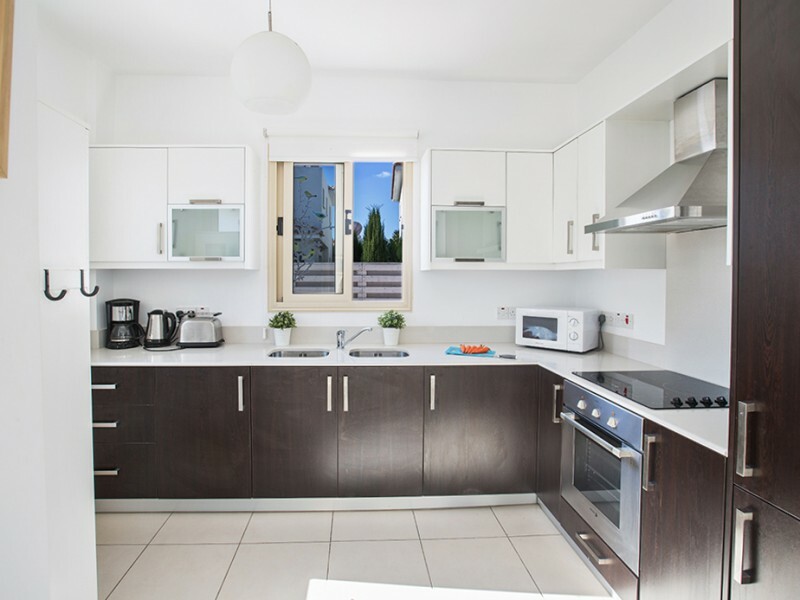 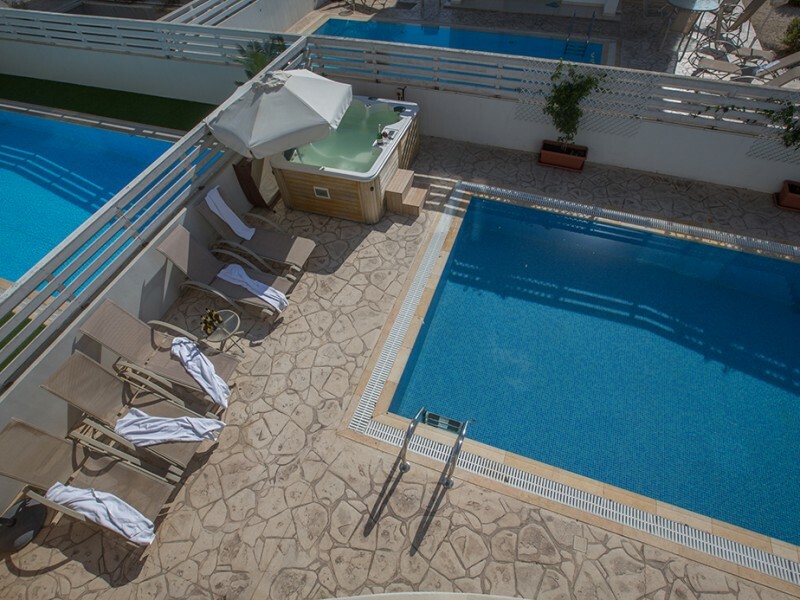 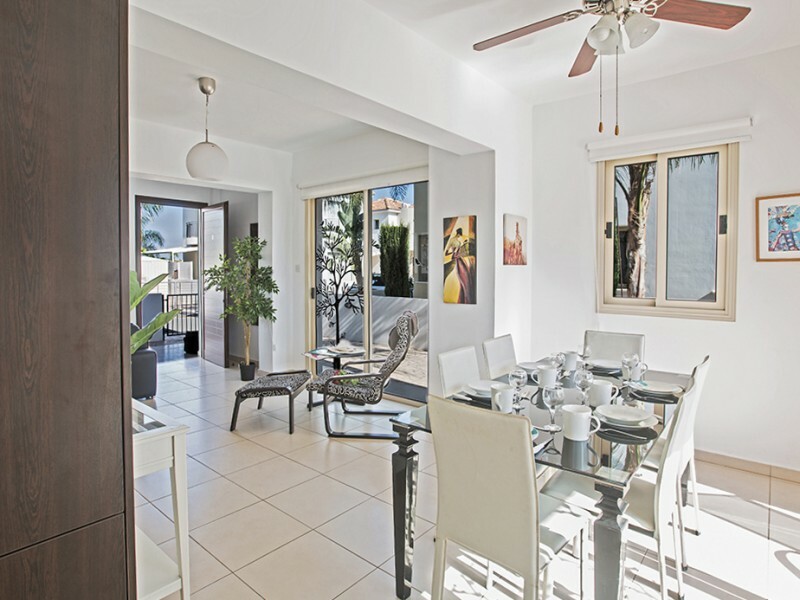 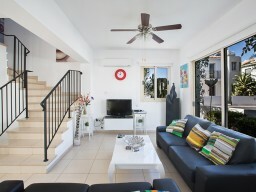 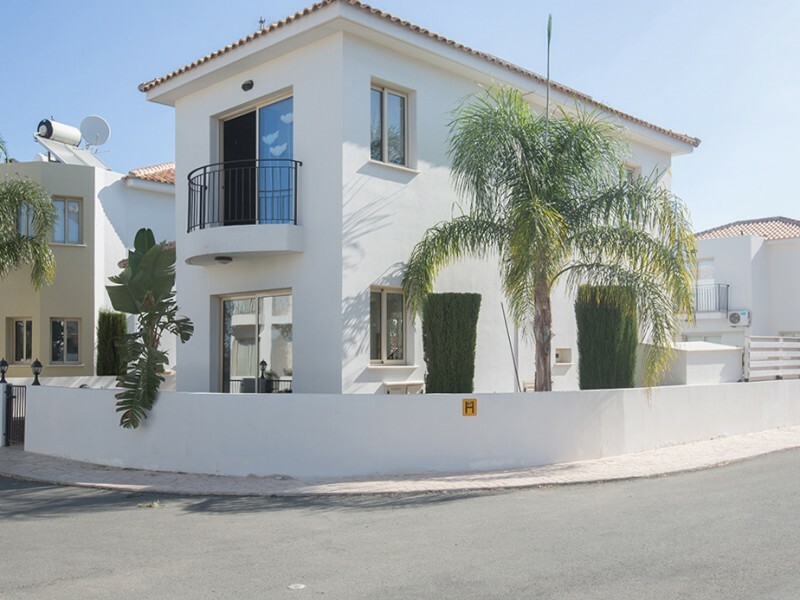 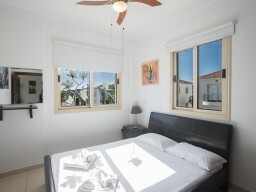 Modern and spacious villa is fully equipped with everything needed for a relaxing holiday. 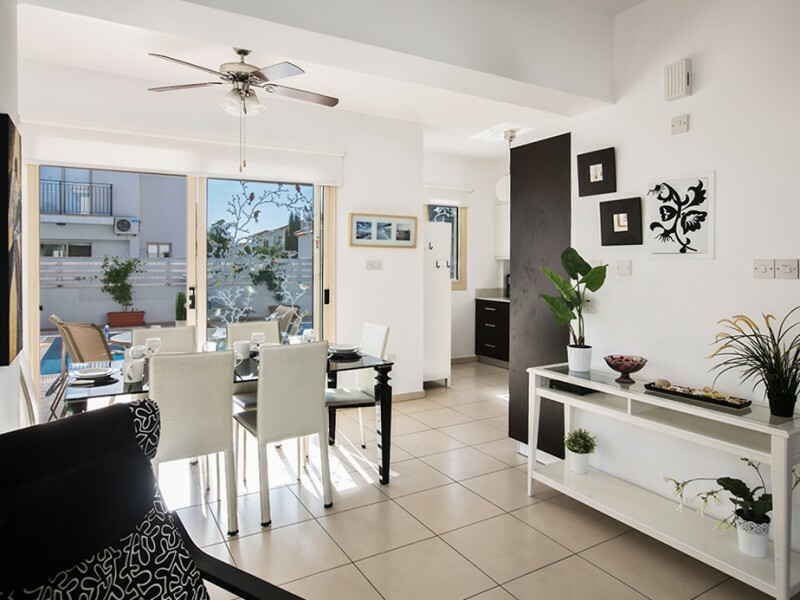 It features a comfortable seating area and open plan dining area with seating for 6 people and a fully equipped kitchen with modern appliances. 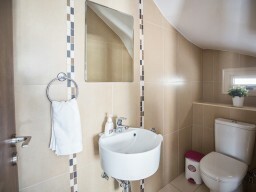 There is also a ground floor toilet. 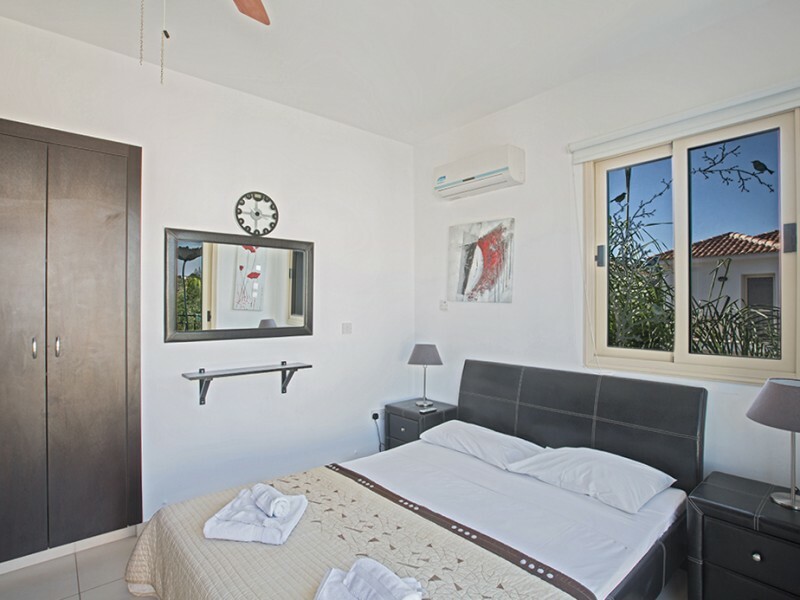 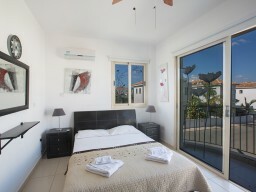 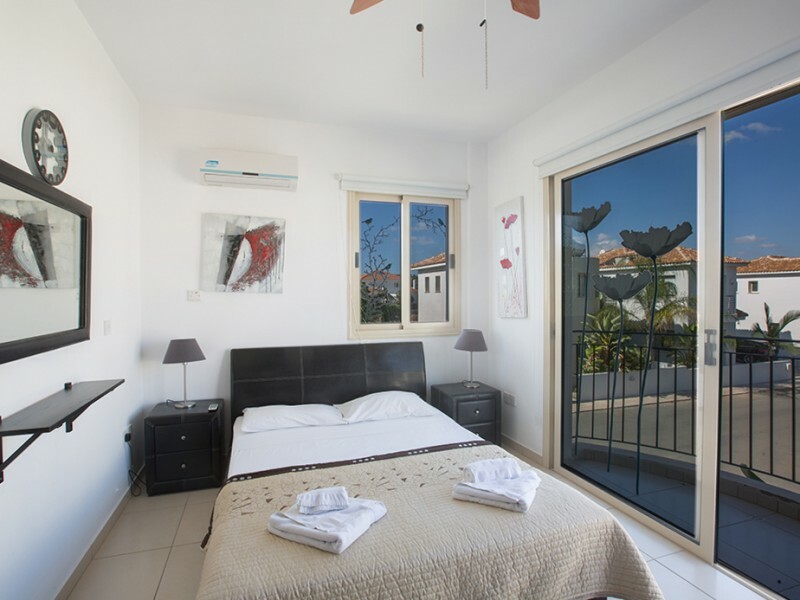 On the upper floor of the villa has 2 double bedrooms, one with en suite bathroom. 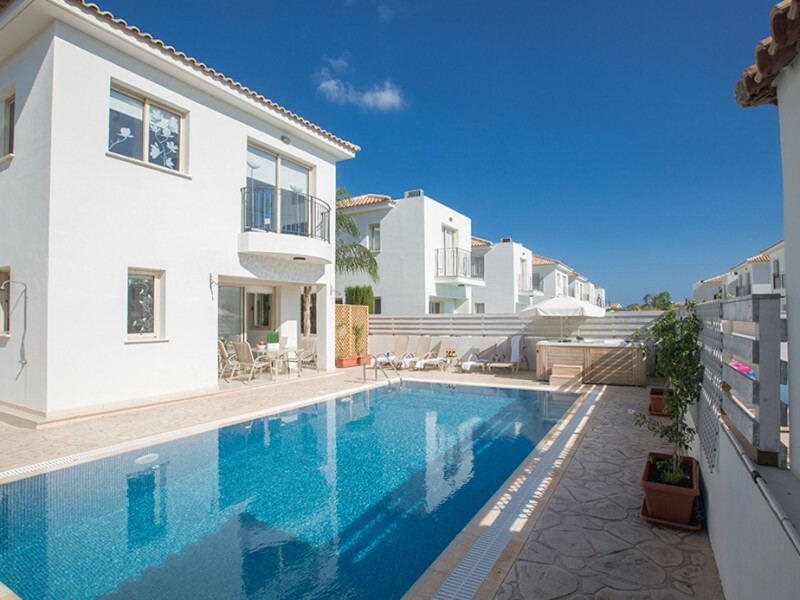 Outside the villa has a sunny and spacious private pool and garden with sun loungers and garden furniture. 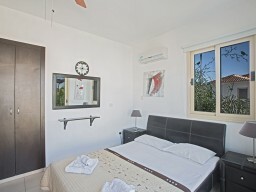 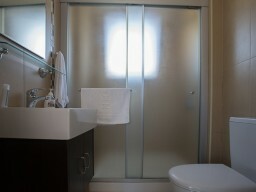 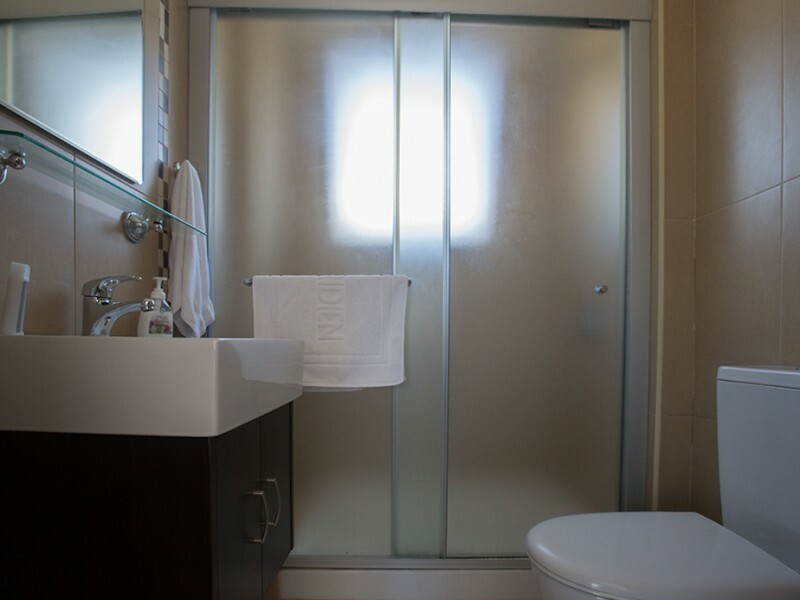 There is a jacuzzi (additional charge 35 € per day), and heated pool.